Between the immortal soul and the external personality, the average focus of human consciousness – which we call “I” – gradually elevates itself as the soul obtains wisdom and accumulates experience. The mere knowledge of these facts is not enough: victory or defeat will depend on what we do, once we know about the facts. The third principle is Linga-sharira, and it includes the subtle karmic structures through which vitality flows. The genetic background inherited from one’s parents is a part of Linga-sharira. The principle is much more than that, and it is called “astral body” and “the double” by Helena Blavatsky. The lower part of the fifth principle – which we may call Kama-manas – has a sort of reasoning that follows personal desires, personal opinions, fears and hopes. 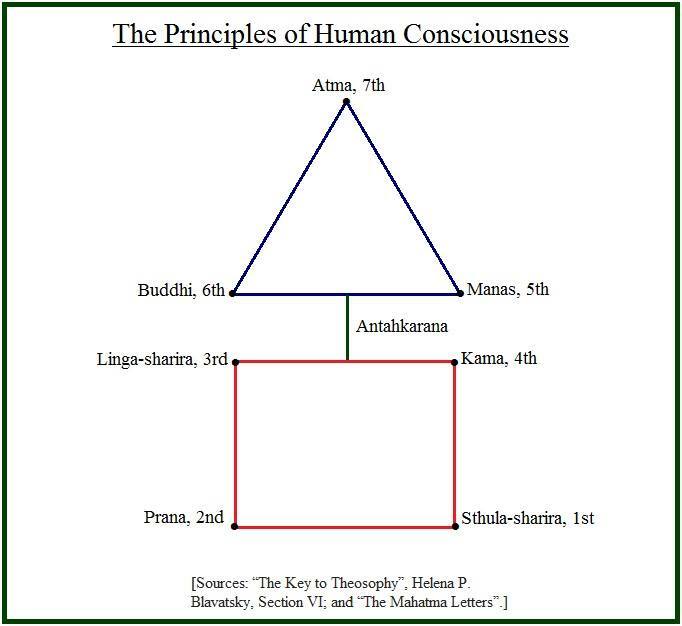 The higher part of the fifth principle, Buddhi-manas, is the abstract mind, the spiritual intelligence which looks at truth without distortion or egocentrism. 1) Right view of life – To look at the world as a vast field of research and learning. 2) Right thought – To observe reality impersonally, so as to avoid the distortions produced by fear and illusion; to focus thought in elevated topics and not to allow it to disperse. 3) Right word – To speak and write with sincerity, using no tricks, falsehood or aggression. 4) Right action – To abstain from causing injustice. Trying to remove the causes of suffering. 5) Right livelihood – To have a useful profession and to work with good will and balance. 6) Right effort – To live each moment with attention, avoiding laziness or anxiety. 7) Right memory – To learn from the past so as to correct mistakes. To keep in one’s mind the spiritual teachings and the precepts of eternal wisdom. 8) Right concentration – To have noble and clear goals, organizing one’s practical life in the short and long term in accordance with them. The war between light and shadow has many unpredictable episodes. The virtue of courage can become lack of prudence. The virtue of patience, on its turn, may pave the way to laziness. The result from this conflict is discernment, that is, the ability to distinguish the true and the false. 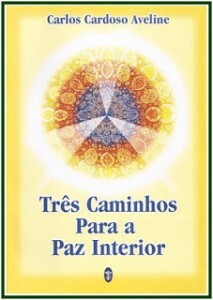 Discernment – Viveka in Sanskrit – is one of the keys to the door of soul-heaven. Combined with it, each virtue finds its balance and the dangers of exaggeration and anxiety are overcome. “One of your letters begins with a quotation from one of my own . . . ‘Remember that there is within man no abiding principle’ – which sentence I find followed by a remark of yours ‘How about the sixth and seventh principles?’ To this I answer, neither Atma nor Buddhi ever were within man, – a little metaphysical axiom that you can study with advantage in Plutarch and Anaxagoras. (…) The former taught on the authority of Plato and Pythagoras that the semomnius or this nous [spirit] always remained without the body; that it floated and overshadowed so to say the extreme part of the man’s head, it is only the vulgar who think it is within them . . .”. The Mahatmas teach therefore that there is no eternal principle inside human being. What there is inside is the ability to perceive, listen to and follow the spiritual light of Atma and Buddhi, which shines above the head.